Luckyfinds: Hello Kitty Live in Manila! 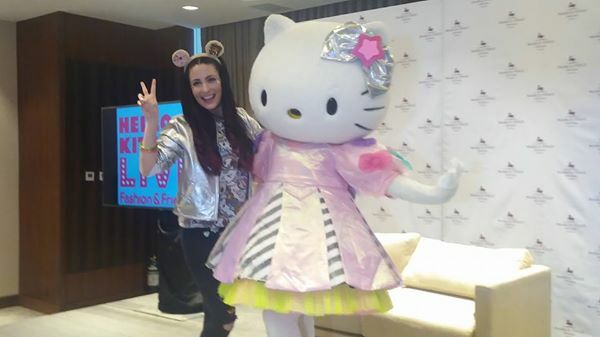 Hello Kitty Live in Manila! The world’s well-loved Hello Kitty comes to Manila just in time to make this year’s Yuletide celebration extra special. The show entitled "Hello Kitty Live – Fashion & Friends" will give kids the chance to physically enter the world of Hello Kitty as the interactive show take to the stage the adventures and the latest development in the continuing evolution of her persona. 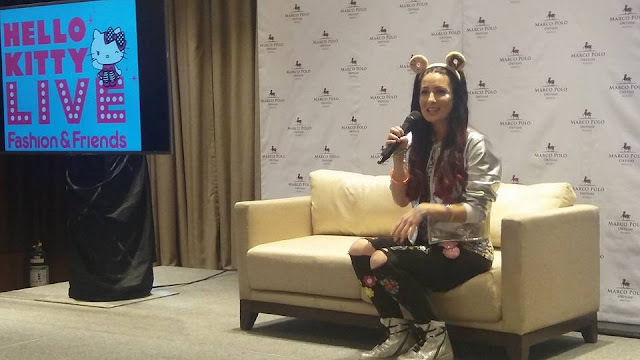 Everyone will be Set in modern-day London, Hello Kitty Live story portrays values on friendship, respect, kindness, hard work, talent and a passion for creativity. Its fantastic fashion and costumes designed by Japanese-inspired lifestyle brand Tokidoki plus the lively and pop soundtrack which includes songs from Clean Bandit, Charli XCX, Kylie Minogue, Flo Rida, Echosmith and Bruno Mars, among others will add fun to the show. The creative team of Hello Kitty Live – Fashion & Friends is comprised of Adam Stafford, Director and actor of dozens of shows and West End musicals such as the Life of Galileo, Richard Lewis, creative director of a long list of successful productions including Peppa Pig Live and Lazy Town Live; Del Mak, choreographer of TV show Got to Dance and Lorenzo Ceccoti one of the most acclaimed upcoming visual artists on the digital scene, director of The Dark Side of The Sun and creator of the visual novel Golem. Together they have created a fun-packed show, a whole new experience where the characters on stage and the animations on a mega HD screen interact with the public as the story unfolds. After the show, the audience will also get a chance to have their photos taken with the cast upon availing of the ‘meet and greet’ pass on a first come, first serve basis. 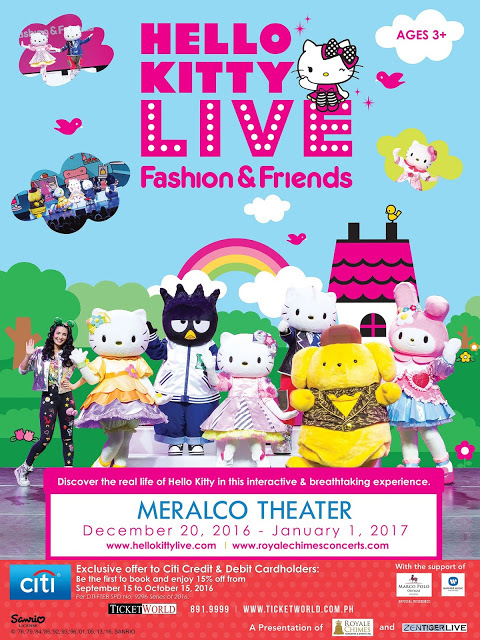 Hello Kitty Live – Fashion & Friends is made possible by Royale Chimes Concerts and Events Inc. and Zen Tiger Live. Call (0906) 418-0786 or (0918) 497-2121 for more infomation.